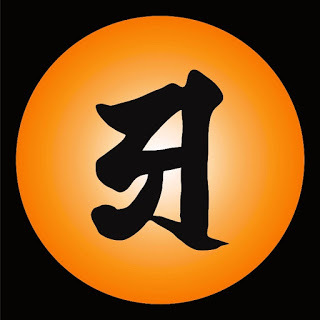 We open our selection this month with a little dossier and an article on the Far Eastern tradition of invocation of the “one-syllable mantra”, the sound “A”. Known particularly in Shingon Buddhism as Ajikan, it is a practice of central importance within many schools, and with echoes in other faiths. The A is inherent in OM. The entire Heart Sutra is considered a mantra and the dharmic gate for the great heart mantra. This “heart” (hridaya) is also the physical heart of the bodhisattva, and so, through Tantric practice such as the Ajikan meditation, the wisdom (prajna) of the physical heart becomes activated. • A newly added article, “Landscape, Religion and Folk Art in Mithila”, on the Indian tradition of “court painting”, describes a form of art which is “cosmic in nature and playful in expression,” and which has been preserved for centuries by women of all castes in India. 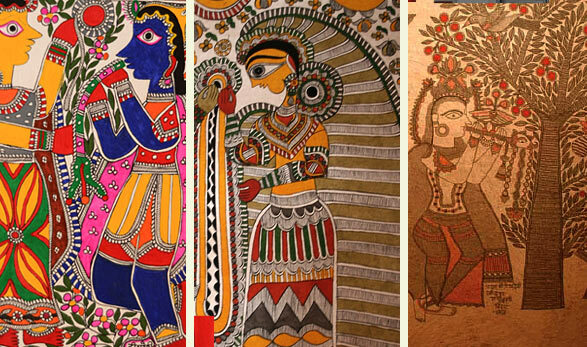 Mithila painting transmits a wealth of religious symbols and a very distinct formal language which is an integral part of everyday Indian life. Icons have an important magical-religious function. Since the image is thought to contain some of the qualities of the original subject, the inclusion of planets and constellations is believed to summon the essence of the original subject and attract its favorable influence… Folk paintings of deities and particular events are not works of art for art’s sake; they are charms and diagrams of religious concepts. • We complete our selection with the powerful words from The Centuries of Meditation by Thomas Traherne, one of the most profound English metaphysical poets, and a true mystic of objective felicity and childlike gratitude. To know God is to know Goodness. It is to see the beauty of infinite Love: To see it attended with Almighty Power and Eternal Wisdom; and using both those in the magnifying of its object. It is to see the King of Heaven and Earth take infinite delight in Giving. Whatever knowledge else you have of God, it is but Superstition.